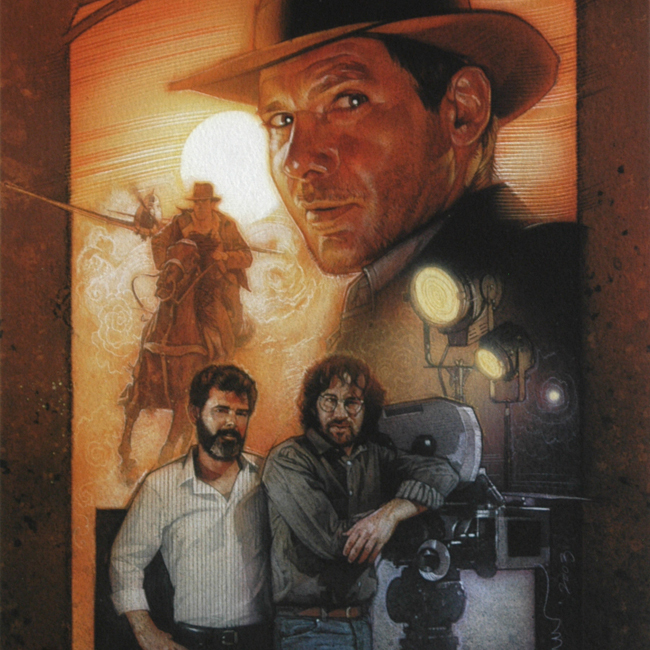 Within the Indiana Jones Trilogy DVD box there was a fourth disc with special features on it. The sleeve for this fourth disc was illustrated by drew. Since it was a special features disc with commentary on the making of the films it was only proper that the film makers be on the cover. At last, artwork of George, Steven and Harrison immortalized together.